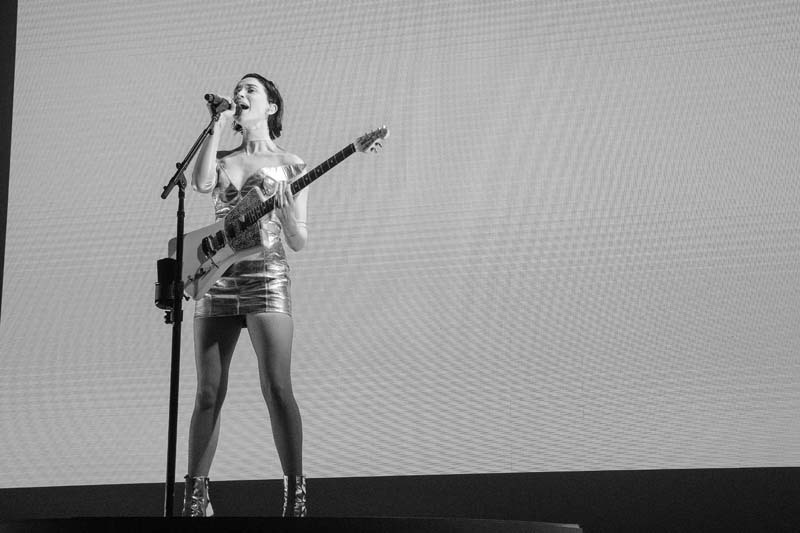 The World Is St. Vincent’s Playground, But Dallas Is Her Home. 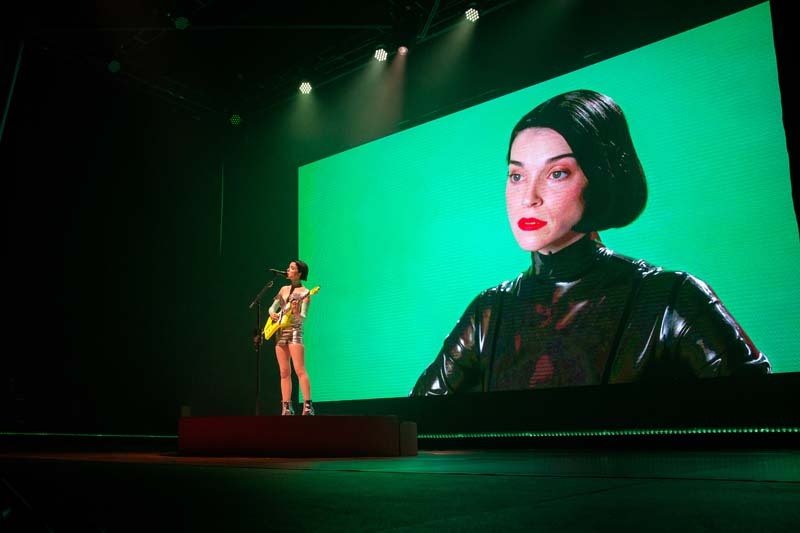 Annie Clark Took Off Her St. Vincent Mask For A Few Moments On Saturday In Order To Pay Tribute To Dallas At Her First Hometown Show In Almost Three Years. 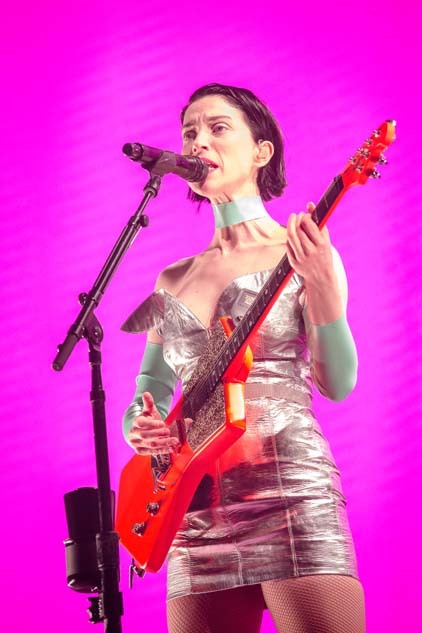 Late into her 90-minute set Saturday, St. Vincent bared herself in a way that made plain the dichotomy at work in her career. 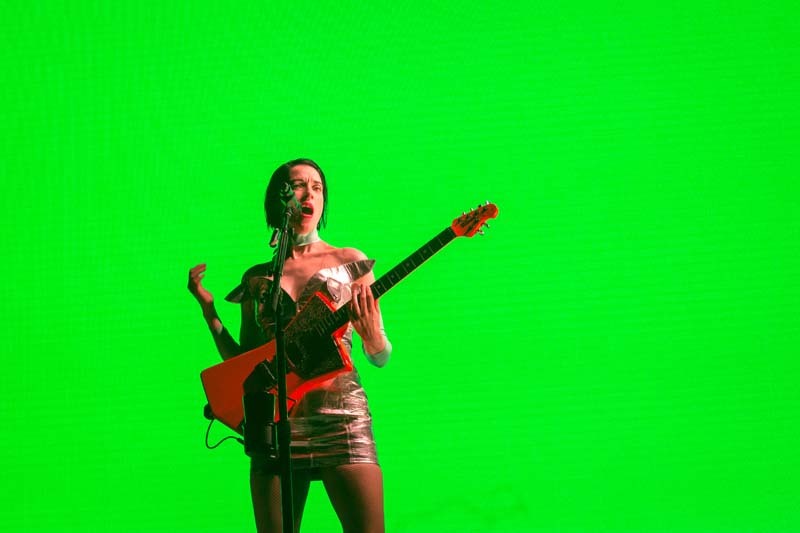 Prior to launching into “New York,” a caustic valentine to the city the woman born Annie Clark now calls home, she took a moment to pay tribute to the city in which she came of age. 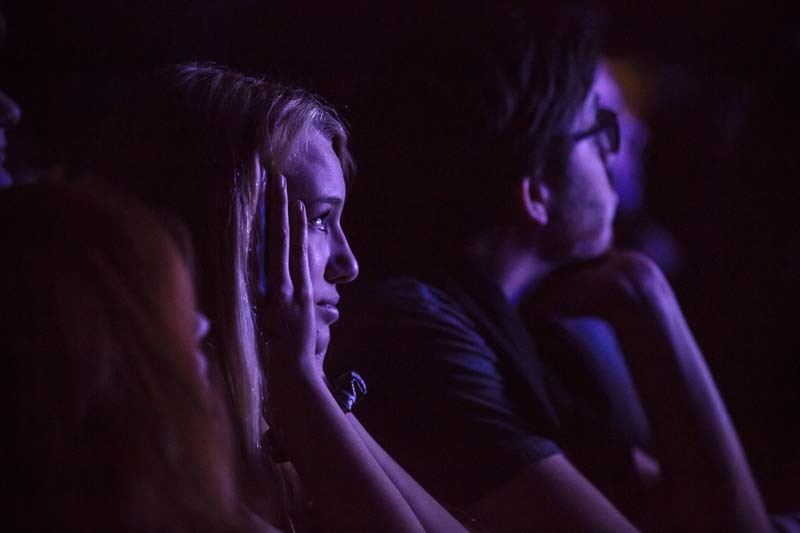 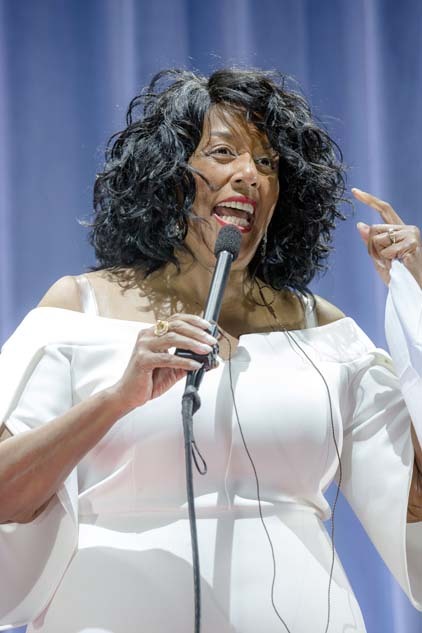 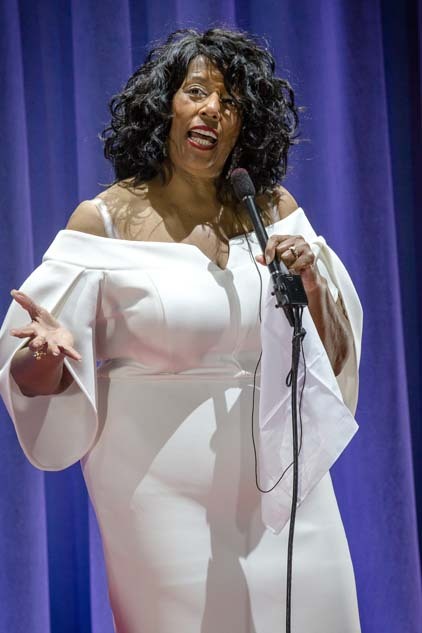 The ripple of appreciative laughter through the sold-out crowd and less-than-helpful suggestions from near the foot of the Bomb Factory stage — “I’m not sure about any of those,” Clark deadpanned — gave way to a brief soliloquy about her past, and how it fully informed the present moment. 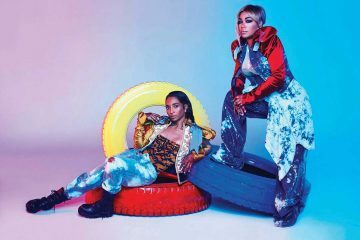 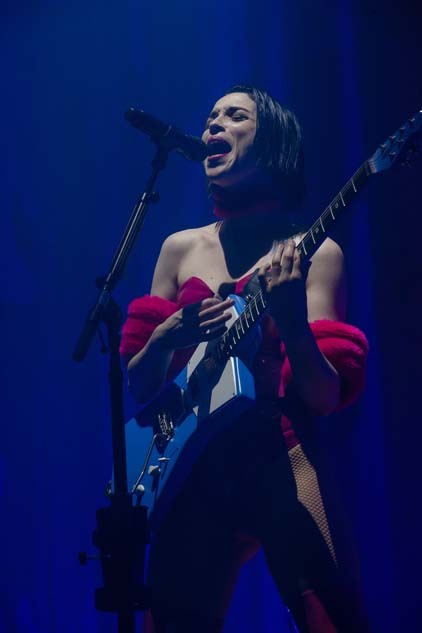 With that, she segued into “New York,” and slipped back into the persona of St. Vincent, the mask having momentarily slipped to reveal someone profoundly grateful for having been shaped by the boredom and restlessness of growing up somewhere she felt was a launching pad to other worlds, other ideas, other ways of being. 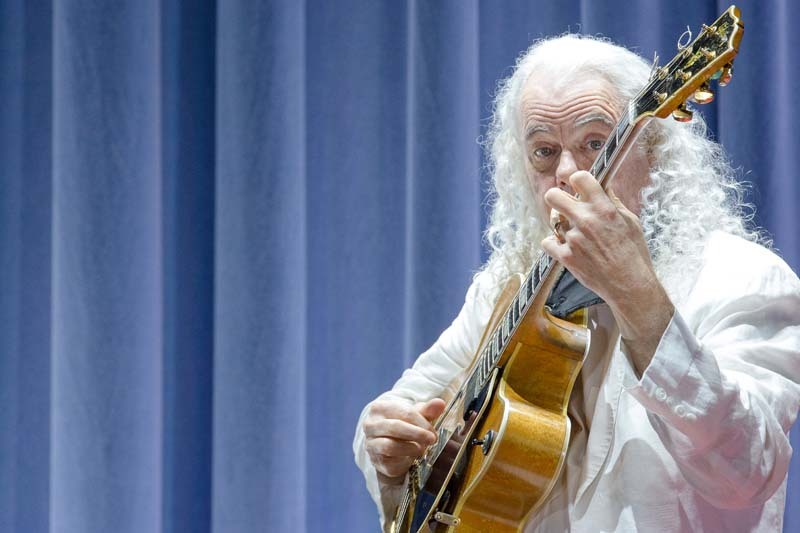 That, in miniature, is the fascinating tension St. Vincent inhabits and exploits. 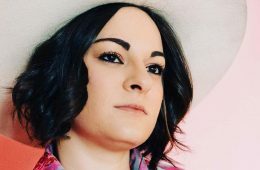 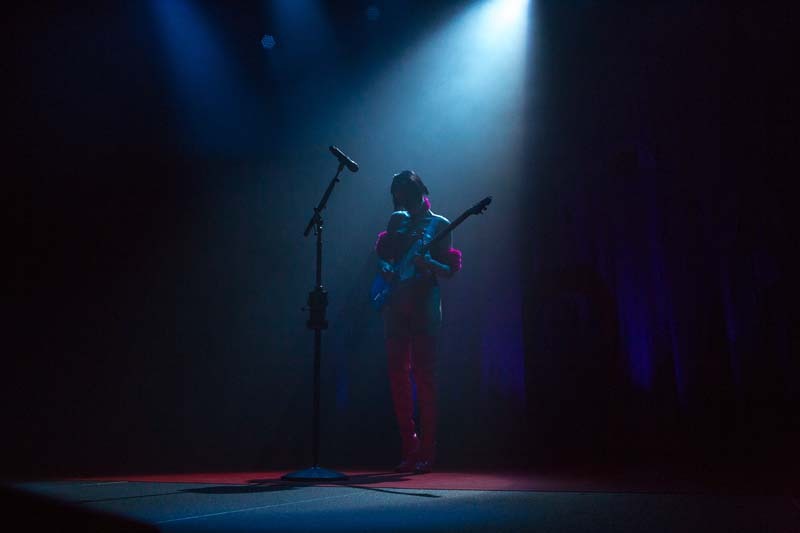 She is, without question, a bona fide rock star — they don’t just hand out signature guitar lines to everyone — but also a capital A Artist, someone interested in pushing boundaries and exploring how far an audience will come along with her. 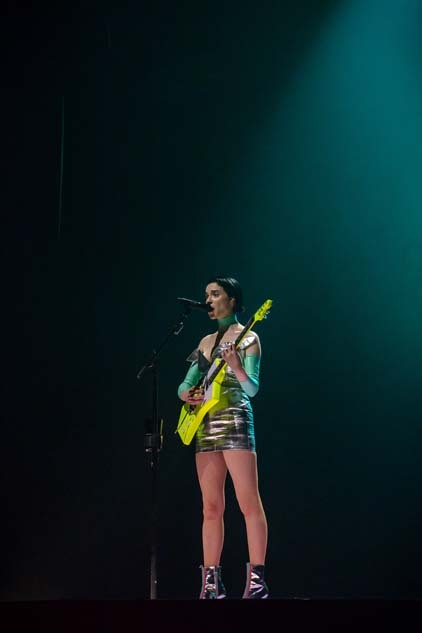 Time and again Saturday, during her first Dallas-area show in almost three years (following her ambitious 2015 appearance at the Soluna International Music & Arts Festival a few blocks over at the Winspear Opera House), St. Vincent showcased why she stands alone in modern music. 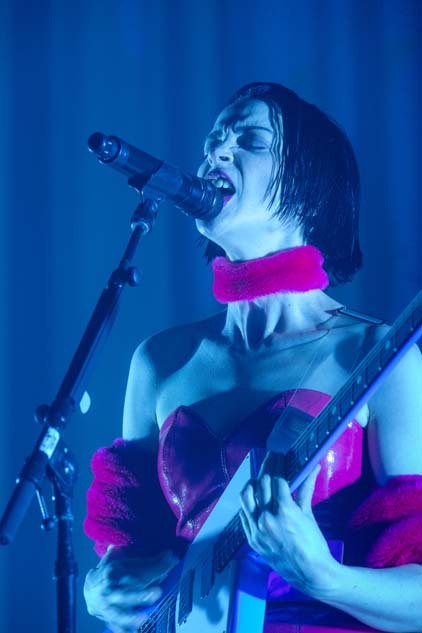 Her performance was split neatly in two — a pair of 45-minute sets, the latter of which was her fifth studio album, MASSEDUCTION, performed in its entirety — and Clark was relentlessly audacious throughout. 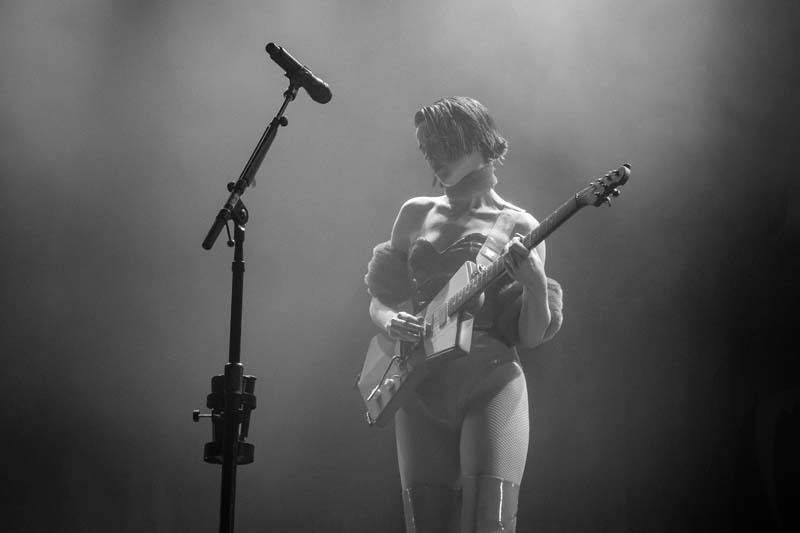 Indeed, with each stage new she’s found herself upon — I’ve watched her progress from the Kessler to the Winspear and now to the Bomb Factory, the largest area room she’s yet played — her ambitions and overall vision have scaled right along with her. 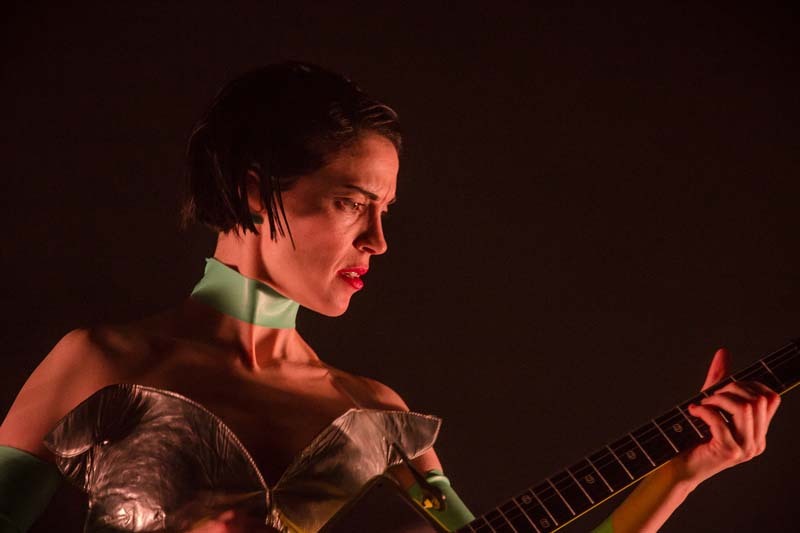 St. Vincent’s reach never exceeds her grasp, marking her as a canny sort of risk-taker — she seems to know just where to step. 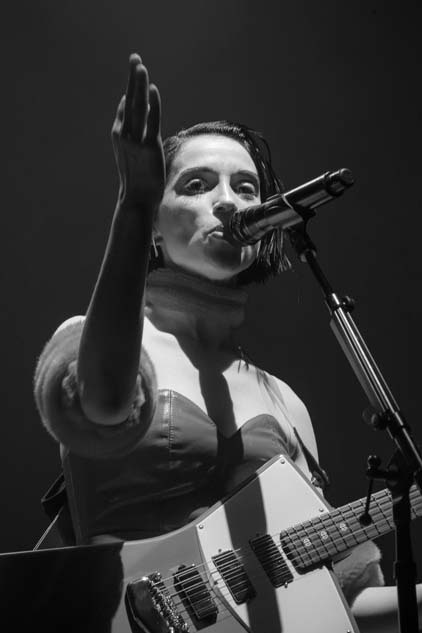 And the force of her creativity is nearly enough to flatten you. 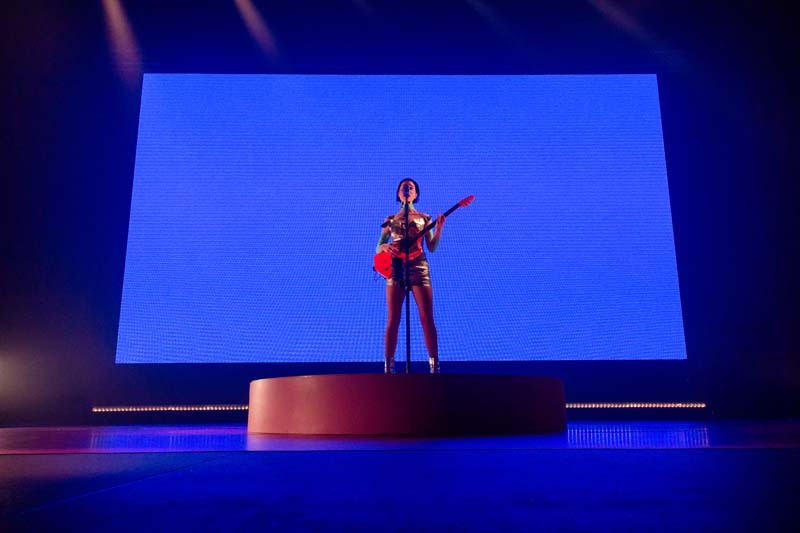 The first set, which provided a tight survey of her previous four studio albums, found St. Vincent standing alone, almost isolated by dark curtains in one corner (she was paid occasional visits by techs clad in balaclavas). 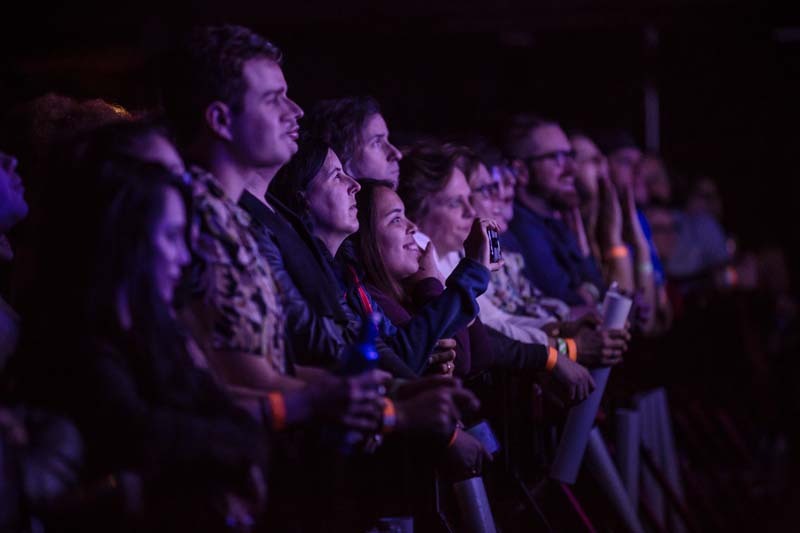 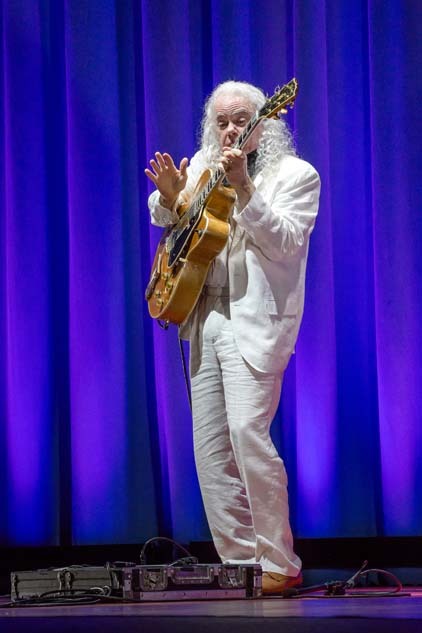 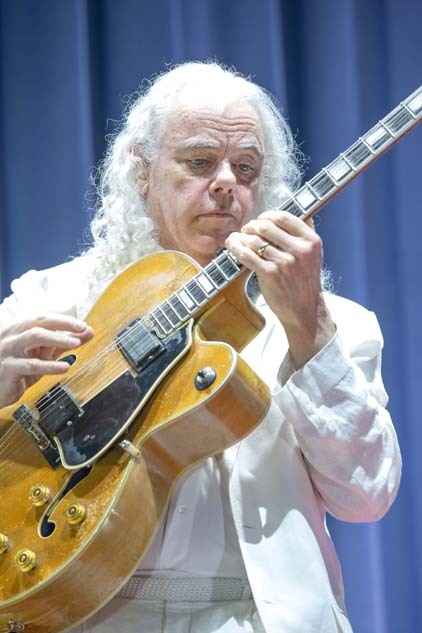 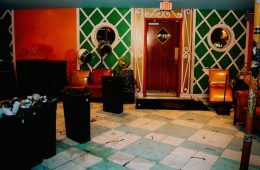 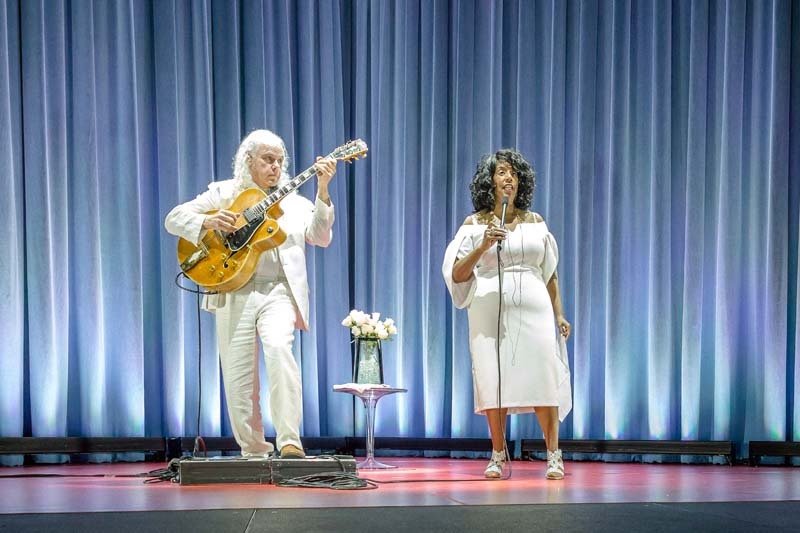 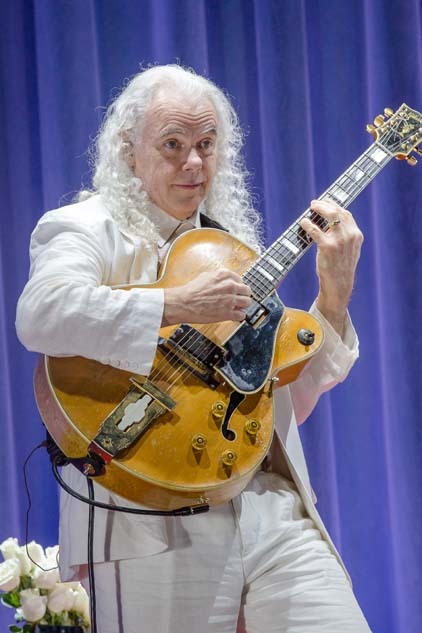 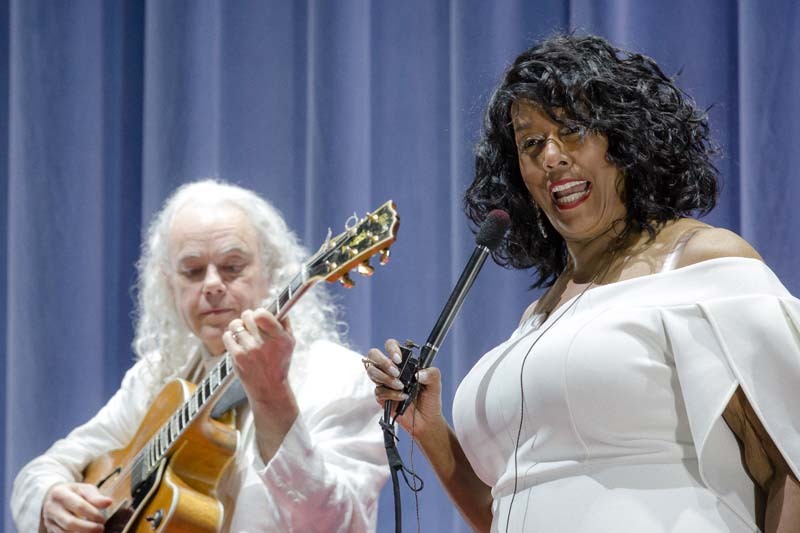 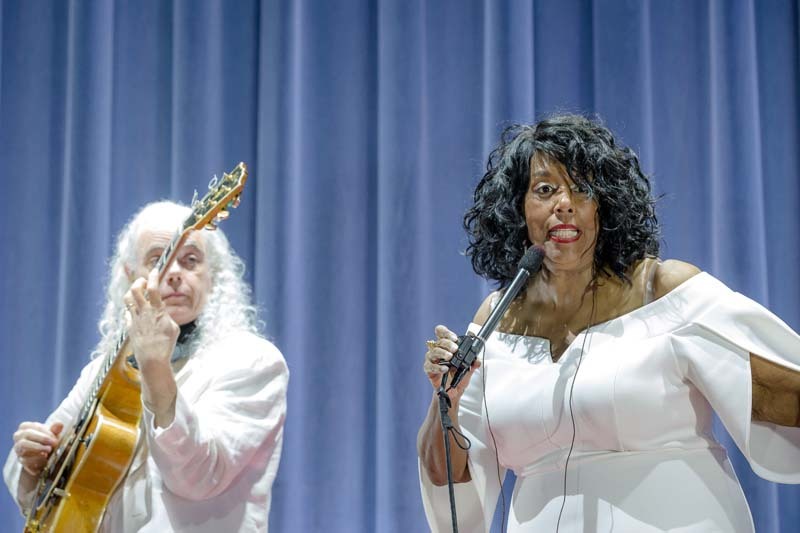 After a performance from her uncle and aunt, the jazz duo Tuck & Patti, that was kept in front of the stage curtain, the stage would slowly open up over the course of St. Vincent’s own set’s first 45 minutes. 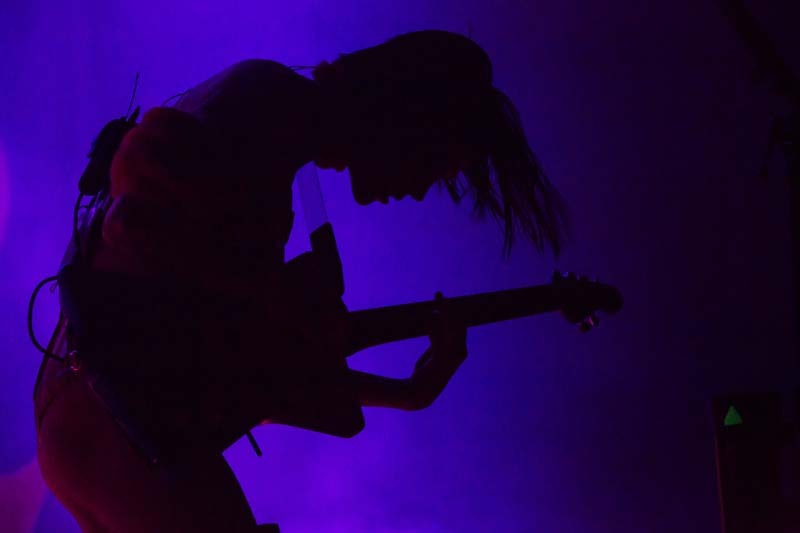 Throughout, the focus was almost wholly on the sight of Clark attacking her guitar, wringing from it thorny solos and vicious, distorted melodies, matching the strobing, stark lighting. 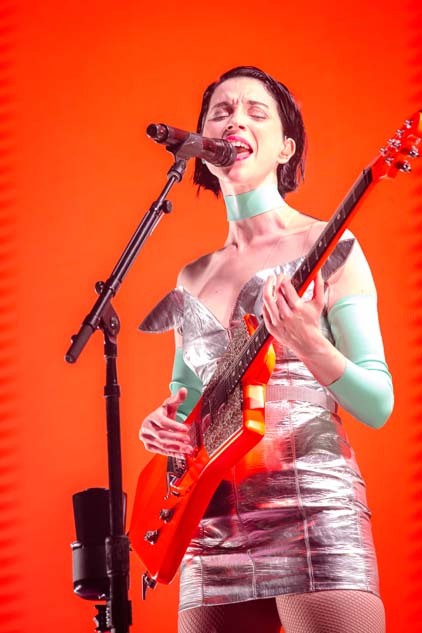 As always, it was viscerally impressive — each subsequent tour finds Clark venturing nearer to a near-hallucinatory level of precision, coupling her off-kilter rock songs with a relentless visual presentation. 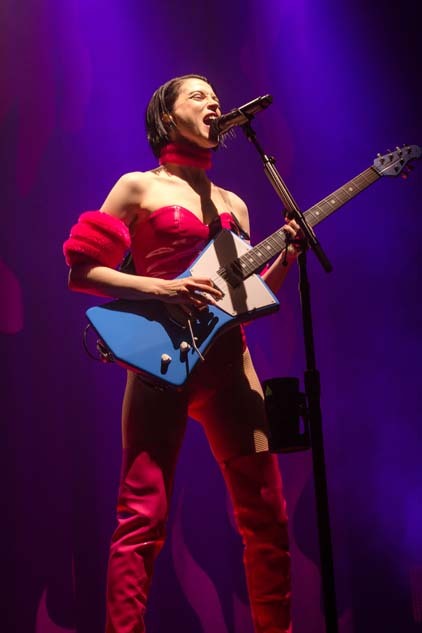 Building up a head of steam, St. Vincent brought the first set to a riotous climax by reeling off “Digital Witness,” “Rattlesnake” and “Birth in Reverse” in quick succession, the cumulative effect like a flurry of sledgehammer blows. 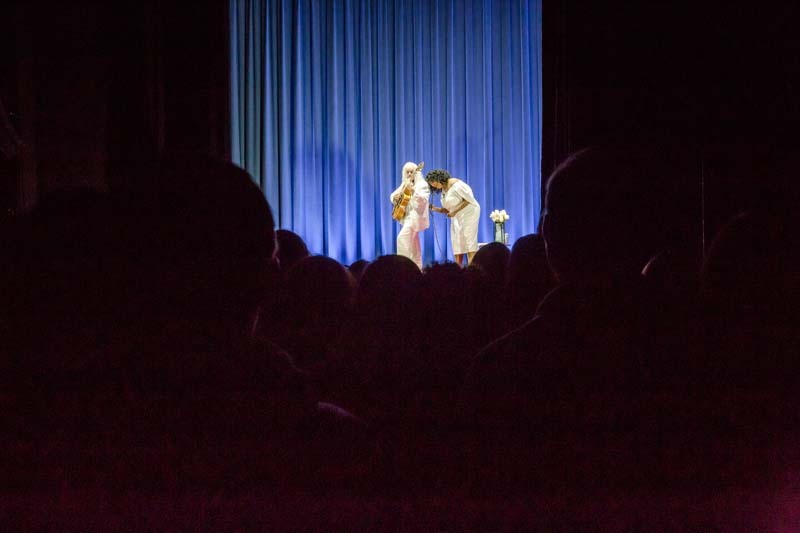 Following a brief intermission, Clark reappeared, now backed by a video screen full of optic nerve-frying colors and images. 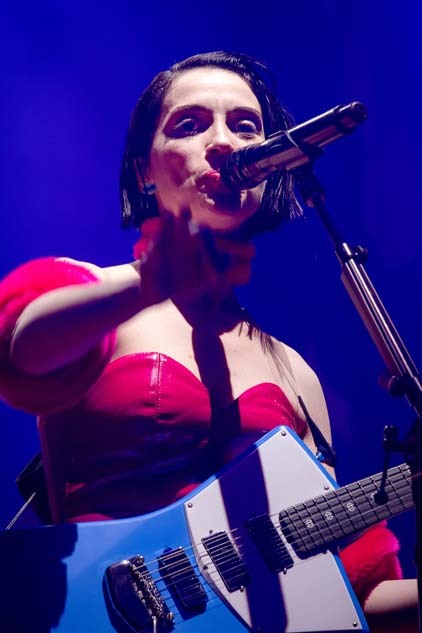 MASSEDUCTION, which was recorded with assistance from A-list producer Jack Antonoff along with Lars Stalfors and fellow local hero John Congleton, can feel a little closed-off on record, but the songs loosened up a bit in concert. 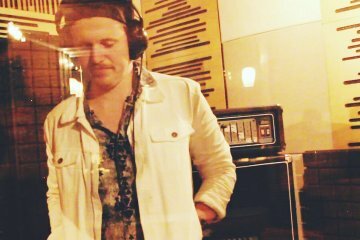 “I can’t turn off what turns me on,” Clark intones on the album’s title track, as much a warning as an invitation. 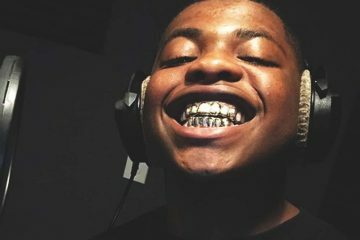 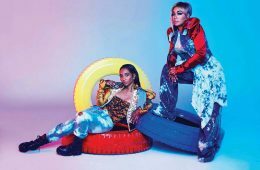 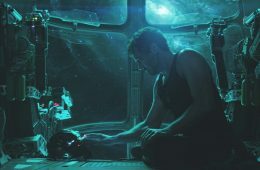 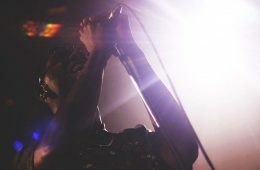 The line also functions as an acknowledgment, of sorts, of pop music’s insidious power to slip past defenses, embedding a melody or lyric in the mind even if the idea of loving pop music is anathema. 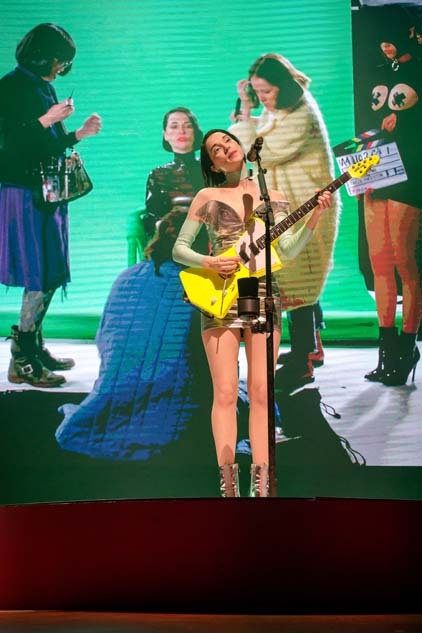 That meta concept — a wry deconstruction of pop music’s machinations and artifice, delivered with something of a sideways hug — animated the second half of St. Vincent’s showcase and allowed her to wrestle with the idea of pop stardom at arm’s length. 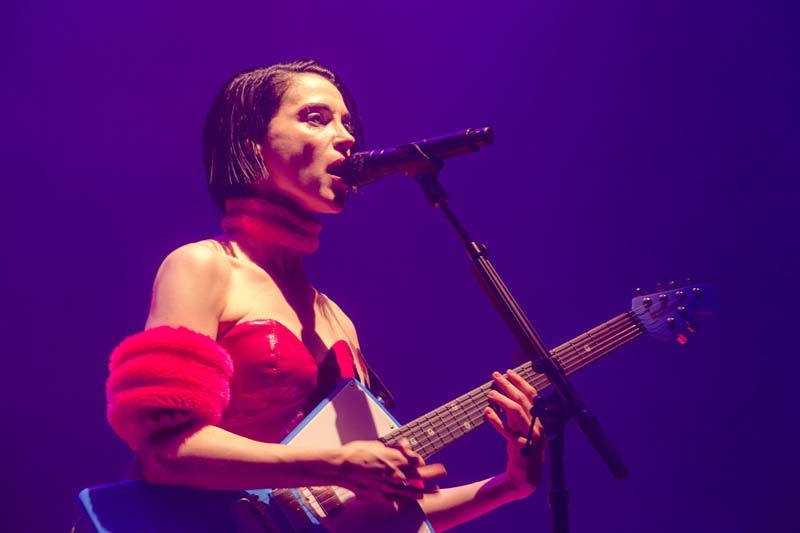 By questioning the deeply shallow nature of pop stardom, St. Vincent is able to explore her own ambivalence about what lies beyond this moment in her art and career. 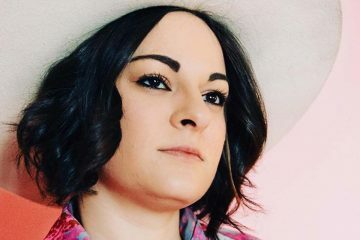 Does she want more exposure, and in turn, more scrutiny? 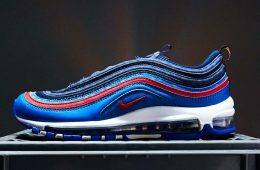 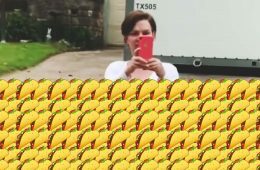 At what price comes the ability to put your message out into the world? 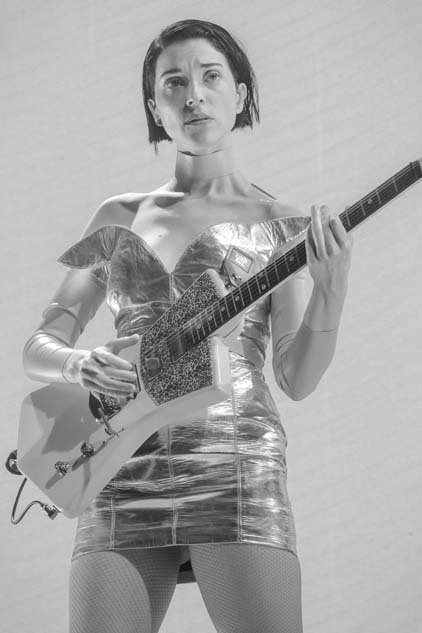 Where is the line drawn between the intensely personal — the young woman, driving aimlessly around White Rock Lake, waiting for the world to open up — and aggressively public, strutting around a lighted stage in skin-tight vinyl outfits before thousands of screaming fans, tearing off blistering riffs popping from your fretboards like firecrackers? 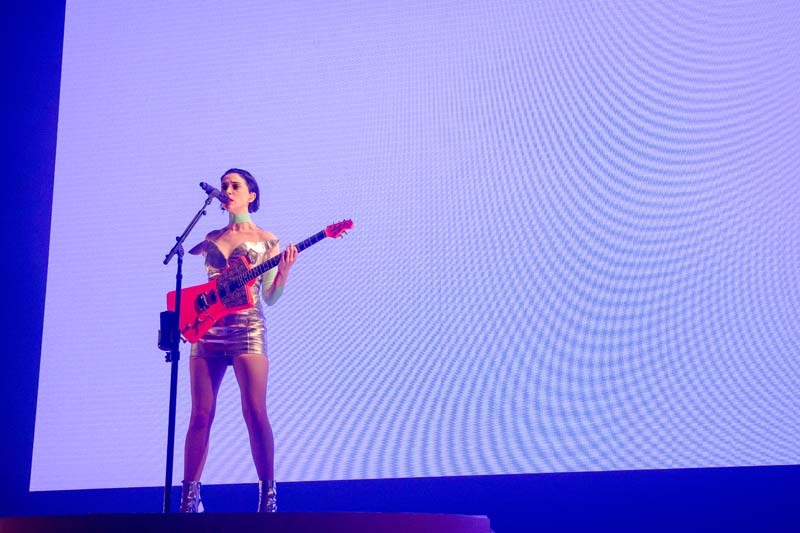 These aren’t questions St. Vincent necessarily answered Saturday. 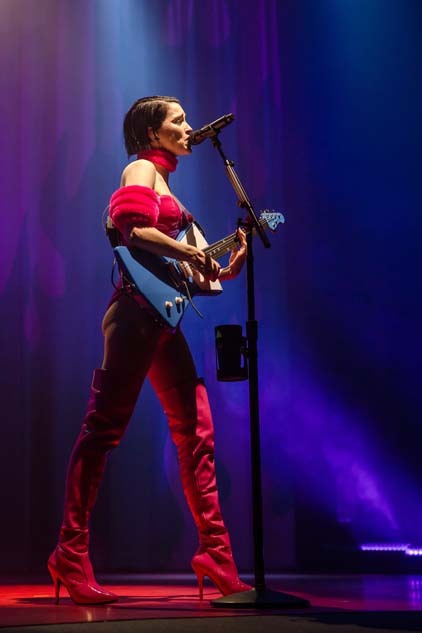 But watching the hometown heroine turned provocative art-rock star deliver a confident, ferocious and visually stunning set, this much was certain: Fame, in whatever form it ultimately takes, will be dealt with purely on her terms. 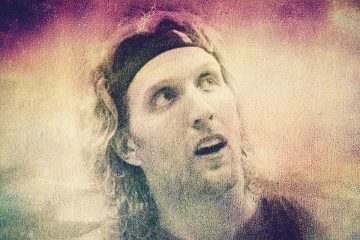 That dream, at least, has come true. 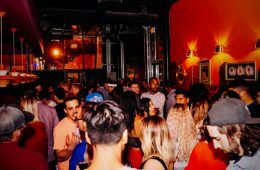 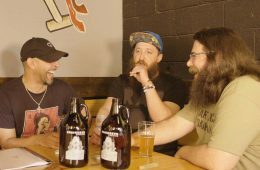 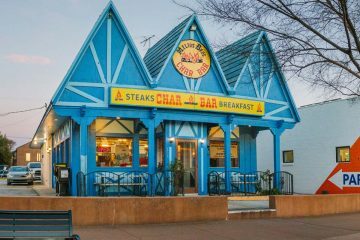 Previous ArticleThings To Do In Dallas On Monday, February 26. 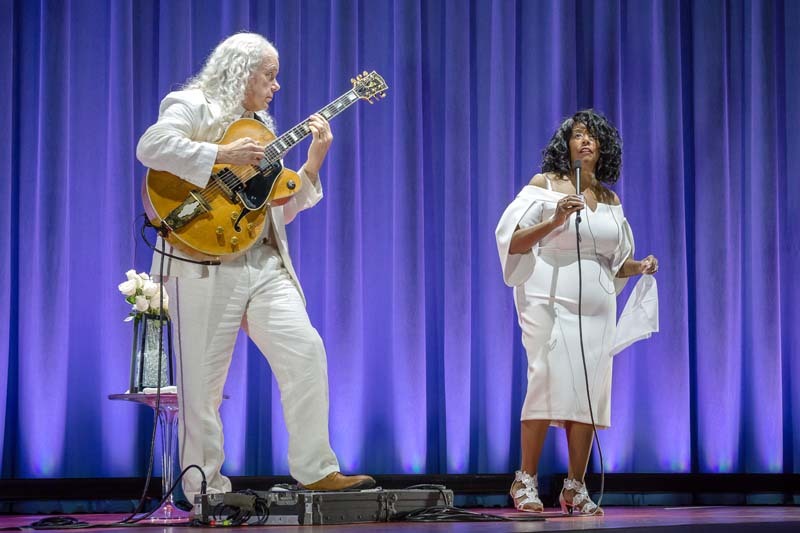 Next ArticleErykah Badu’s Birthday Party Was Blessed By Big Names.